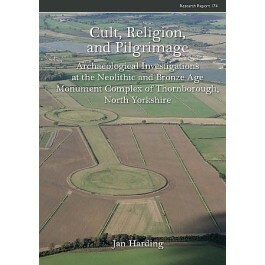 The three large henges found adjacent to the village of Thornborough, near Ripon in North Yorkshire, lie at the heart of one of the most important Neolithic landscapes in the British Isles While the henges were first recorded in the eighteenth century, recent fieldwork has shown them to be part of a much larger ‘sacred landscape’ of the later Neolithic and Bronze Age which includes barrows, pit alignments and a cursus. Surrounding fields have yielded a rich collection of prehistoric flint artefacts. While the henges have all been damaged, either by agriculture or quarrying, they remain major upstanding features in the modern landscape. This volume considers first the history of investigations and changing attitudes towards the monuments before describing the detailed geophysical surveys, excavations and fieldwalking programmes that have been carried out across this landscape in the past twenty years.